Polish center back who has played for Monaco and Poland's national team. He has played an integral role in Poland's Euro 2016 qualifying campaign and the Euro 2016 campaign making the most clearances of any player in the tournament. He first started playing club soccer for Piast Gliwice in 2008. He is Piast Gliwice's first player to go on to play for the Polish national team. He is originally from Poland, but has both German and Polish citizenship. He had a daughter with his wife Marta. 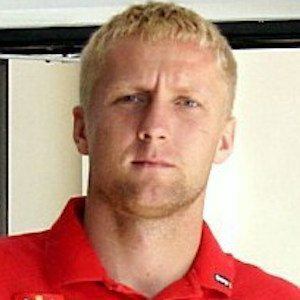 He and soccer star Jakub Blaszczykowski have both played for Poland's national team.